Home / Deals / Online Deals / Amazon Deals / HOT! 3 Month Xbox Live Gold Card only $16.99 + $5 Amazon Instant Video Credit! We are rolling in hot deals today! 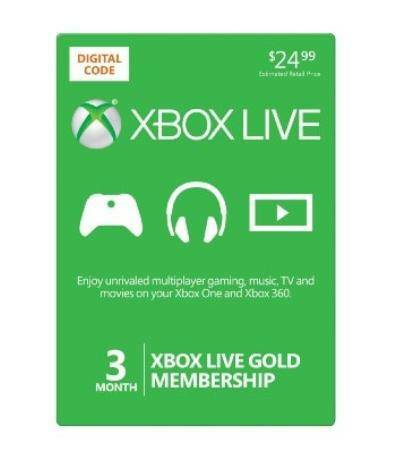 HURRY and score a 3 Month Xbox Live Gold Card Digital Code for only $16.99 PLUS when you buy 1, you will get a FREE $5 Amazon Instant Video Credit! That is like paying only $11.99 with the FREE Credit and that is the best price I have seen on an Xbox Live Gold Card 3 Month Membership! These will sell out fast, so order yours now!